Considering its size, beauty, and abundance of attractions, there are many places to see in Australia before you die. Perhaps you’re the road tripping kind of traveler who likes to be out on the open highway and stop when you want? Or perhaps you’re the hiker who wants to scale mountains day in and day out, and be provided with some seriously stupendous views. Or are you the nature lover who wants to explore rainforests and splash in the waterfalls? Australia plays host to numerous incredible attractions, many of which are listed as UNESCO World Heritage Sites. There are even some national parks and locales that are the best in the world in terms of size, diversity, or wildlife too. When you’re exploring Australia, you’re exploring many places that you just won’t get elsewhere. If any of this sounds of interest to you, then Australia has your back. You can find all of it here and more. Of course there are some simply stunning beaches studding the entire continent, but I left those for another list. There are some coastal beauties here, but the popular beaches the country holds as well as the huge main cities were left off this collection and saved for another one. When traversing Australia, it’s natural to want to visit the neighbor, and with all the places to visit in New Zealand before you die, you can’t go wrong. But let me encourage you to take your time during your stay in Australia. There are so many things to see and do, it will really take you years to do it all. 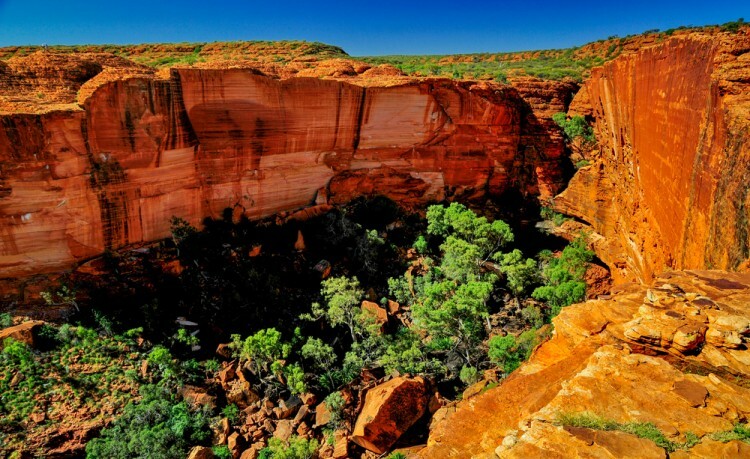 Here are just a few of the of the best places to see in Australia before you die. 7 Best Places To See In Australia Before You Die Australia pictures beautiful places in Australia Blue Mountains Breathtaking Places in Australia Daintree National Park Fraser Island Great Barrier Reef Great Ocean Road Is Slovakia A Good Country To Visit? Kakadu National Park Most Popular Destinations To See in Australia most popular tourst destinations in Australia places to see in Australia places to visit in New Zealand before you die Slideshow Things To Do In Australia Uluru- Kata Tjuta National Park UNESCO World Heritage Sites what are the safest places in Australia to see? What is the best city in Australia? what to see in Australia?